This month, we were given the great privilege of reviewing The Reading Game, created by “Wordly Wise” author, Kenneth Hodkinson. 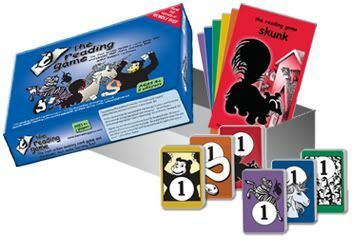 The Reading Game includes six illustrated storybooks and six sets of flashcards which correspond to the storybooks. The flashcards are used to play a memory game between the student who is learning to read and the parent, teacher, or older student who is already able to read. 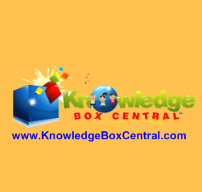 As the student plays the game, he or she quickly learns the words on the flashcards. Once he learns one set, he moves to the next, until he has all the sight words for the first book learned. Then he can read the first book. After that, he proceeds to play the game with the memory cards for the second book, and so on. By the end of the sixth book, he will have a reading vocabulary of 180 words, almost half of which are among the one hundred most commonly used words in the English language! This is one of those tools that I wish I had discovered years ago to use with my first child when I was teaching him to read! My youngest son strongly dislikes workbooks and flashcards, and he definitely learns best through games. Whereas he is completely bored by repeating his sightwords flashcards, he loves the fast-paced memory game using cards that are almost identical to the boring ones (he especially loves it when he wins)! I like the fact that there are no pictures on the word side of the flashcards to help him figure out the words, so he really has to learn which words use which letters. (The animal picture on the back of the cards shows to which animal story they correspond.) I love that he is able to learn so much so quickly through playing the game, and that he gets the immediate reward of being able to read a whole book at the end of each game. The only thing I didn't like is that the books do not use capital letters (except for the word "I") or punctuation. The author explains this in the instructions to the game, saying that he prefers to let the students learn the words first without worrying about things like capitalization and punctuation yet. I believe that children learn things like correct grammar and mechanics best by reading books that use them correctly. They just get used to seeing periods, question marks, and commas in the right places, so that they are often using these things correctly even before they learn the grammar lesson. That small difference of opinion, however, did not diminish our enjoyment of this game. My 6-year-old can play for hours, and then enjoys reading his new books to anyone who will listen! His reading has improved dramatically in the couple of weeks since we have received this game. The Reading Game is geared toward lower elementary students and is suitable for any child who is learning to read. My older children, who are all good readers, enjoyed playing "tutor" and playing this game with their little brother. I believe an older struggling reader could even benefit from playing this game in a "tutor" role with a younger sibling, strengthening her own reading ability and building her self-confidence. More information about the game can be found at http://www.thereadinggame.com/index.html, where you may also purchase it for $24.95. I highly recommend The Reading Game for anyone who has children who are learning how to read. To see what other TOS Crew members thought of this game, click here. Disclaimer: I received a free copy of The Reading Game for the purpose of a fair review. No other compensation was given, and all opinions are my own. DST December Blog Train - "Traditions"